A dark espresso finish and leatherette seating make this transitional counter height dining group an attractive addition to any home. 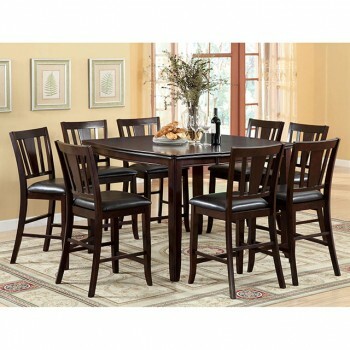 The square table seats eight comfortably and features a 16-inch expandable leaf. Optional lazy susan available.